Like It Or Not, The AFL Must Have Free Agency. Sports economics is my absolute favorite thing, and yet I don’t write about it as often as I want. Maybe because I think you don’t want to hear it. But I don’t care today. Just so you know, I am going to leave emotion out of this because I know that at some point, once the trade deadline is over, I will write an emotional post about my feelings. That is not appropriate today. I’ve only written about free agency once since the madness started and that’s because it drives me a little nuts. This is the first year the AFL has introduced free agency and people are not loving the results and I think it’s because they’re not really “getting it.” So here are the economics of it all… in the simplest terms I can think of. Firstly, terminology. Restraint of trade means that there is something unreasonable preventing a person from conducting business. If someone says, for instance, they want to work for a certain company, the restraint of trade would be the person who tells them: “Nope. Can’t do that.” Nearly all countries (free countries, anyway) have some form of law forbidding this. In Australia it’s competition and contract law. Just remember this term. By the way, something like a 4 week notice requirement or forgoing a bonus for breaking a contract is not a restraint of trade because it’s not unreasonable. Secondly, conditions. I’m sure you already know them, but for arguments sake, let’s just go over the years, at least. The AFL free agency systems are pretty… preventative. 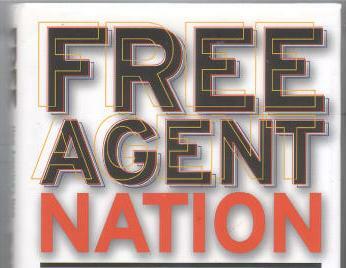 In the NBA, for example, a player can become a free agent after two years (typically four, but two is possible depending on his team). In the AFL, you have to play with a club for EIGHT YEARS. That’s ages in sports years. Thirdly… why we have to have free agency. The bottom line is that sports is one of very, VERY few industries where people don’t have any say about their work environment. Let me paint you a picture: you’re hired for a job at your dream company and you’re pumped. You sign a standard contract and get to work. A year later, you hate it. You’re not making enough money to live, you don’t get along with your co-workers, your boss hates you and there’s an amazing organization that’s headhunting you. So you tell your boss: “This is my 4 week notice” and he tells you, “No, it’s not. You owe me the next 7 years of your life, whether or not you like it. Oh, and you’re being fined for talking with that other company. 10% of your salary.” Yea… doesn’t really sound fair, does it? That’s what it’s like in sports. It’s even worse when, for example, an athlete isn’t playing as much as he wants. Can you imagine if your company told you, “You’re no longer getting any good assignments. We’re going to pay you less and taking away most of your responsibilities… but you can’t leave.” No. Not okay. This is where restraint of trade comes into play. These are ridiculous requirements that a player must fulfill and they certainly prevent them from carrying on business and accepting opportunities for them. Player contracts have the tendency to be unreasonable. Players can’t do what they want – that much is clear. Even once the club decides the player is free to go, the clubs decide what they get for him. Why should a club get compensation for their player? (I know why… but in economic terms it makes no sense) How would you react if your current employer told you, “Go ahead and work for that other company, but make sure that they know they owe me 2 new employees and a million dollars.” Seems like a strange request, no? Before I close, I have to say that sports is an exception to the rule. Due to the nature of the industry, they can get away with things like long, unreasonable contracts and can trade for players and determine what a player is worth and where he can work next. It does seem like the AFL has a decent handle on this, at least this year, but I am counting the days until players want the period before they become free agents to be shortened. That day is, already, fast approaching. PS – Here’s an AMAZING paper on restraint of trade in sports. ← Wollongong Hawks Season Opener: Successes and Shortcomings. Great post. Are there any laws (either statute or case law) in Australia that protect the monopoly of sports leagues? In the US the major sports leagues all ride the coattails of a court case from the 1920s that basically granted Major League Baseball a monopoly of professional baseball. That allows them to get away with all sorts of things that would not be permitted in other “normal” businesses, for two overlapping reasons. Since there’s no competition, the players can’t threaten to or actually take their services somewhere else, so they’re stuck with the rules as is. But conversely, again because there’s no competition, normal business laws and regulations don’t apply because they could unduly harm this monopolistic organization! Double whammy against the players. Are pro leagues in Australia covered by national governing bodies, or national sports policies, or do those apply more to Olympic-style sports? US NGBs (and their global counterparts) are my top culprits for similarly crippling athletes’ careers and the sports themselves (especially track and field) through restraint of trade, inhibiting athletes from making an honest living and operating a cartel. Australia has granted pro sports leagues several exemptions (such as the exemption for the AFL/Telstra agreement for broadcasting rights), although none as limiting as those in the US. They also do have governing bodies as well as national sports policies. In the AFL, in particular, there have bee several overhauls to the draft systems because the processes were absurd. For instance, they used to have a ‘zoning’ rule which meant that teams were only allowed to recruit players from specific areas, who had to play for the team that recruited them. This changed, however, when players complained that it was restraint of trade. Interestingly, the AFL does regularly change rules and adapt to situations where players are unhappy, which I think makes them an admirable league. Even with the presence of laws granting power to the league, I don’t think they’d ever become a league who doesn’t listen to the concerns of their players.